As you all know, the commission has released a total of 54,953 SSC GD Constable vacancy for the recruitment of General Duty Constable. As per the notification, there are category-wise vacancies for male & female candidates (47,307 males vacancies and 7646 females vacancies). It is a brilliant opportunity for all the aspirants considering the whopping number of vacancies so we bring to you the much needed tips by the help of which you will be able to grab this opportunity. • For better SSC Constable Exam Preparation, aspirants must have knowledge about the Exam Pattern and syllabus. Here we are providing complete details regarding Staff Selection Commission Constable GD Exam Pattern. • Applicants are notified that the questions will be asked from the subjects that is General Intelligence & Reasoning, General Knowledge and Awareness, Elementary Mathematics and English/ Hindi. • Total 100 questions will be asked in the exam and each question carries 1 mark. • The exam duration will be 02 hours. SSC GD कांस्टेबल 2018 परीक्षा द्वारा इन पदों की भर्ती प्रक्रिया में कम्प्यूटर पद्धति पर आधारित परीक्षा (CBE), शारीरिक दक्षता परीक्षा (PET), शारीरिक मानक परीक्षा (PST) और विस्तृत चिकित्सा परीक्षा (DME) सम्मिलित हैं. कंप्यूटर आधारित परीक्षा में एक बहुविकल्पीय प्रकार का पेपर होगा, जिसमें 100 अंकों के 100 प्रश्न निम्नलिखित पैटर्न पर आधारित होंगे. 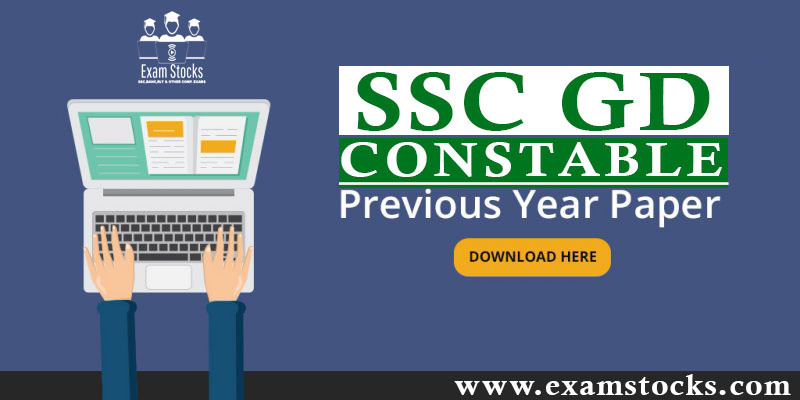 SSC GD Constable Previous Year Papers: Applicants preparing for SSC Constable Written Test can take the help from SSC GD Constable Previous Year Papers so that they can prepare well for the SSC Constable GD Examination. You can download SSC GD Constable Previous Years Question Paper PDF from this page. SSC GD PREVIOUS YEAR QUESTION PAPERS PDF will help you to know which types of questions will be asked in exam so that you can prepare accordingly.